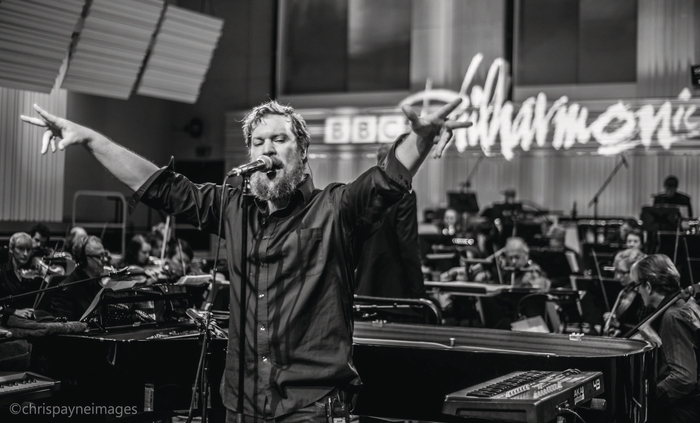 AFTER RUINING his second album Pale Green Ghosts with ill-advised dabbling in, and often insipid stabs at, techno and electronica, John Grant re-connects with more organic sounds on this live album. Rock artist and orchestra collaborations have, historically, never been artistically very successful or satisfying, but Grant bucks the trend, largely because he is a classic songwriter whose music could potentially lend itself effortlessly to string accompaniment. Though the arrangements and sound are big, Grant’s rich voice and sublime melodies are never swamped. Instead, artist and orchestra balance and compliment each other, producing a rewarding listening experience and a chance to hear, not only the highlights from Queen Of Denmark, but also Pale Green Ghosts better moments, in a fresh context. The only concession Grant makes to electro is on ‘Pale Green Ghosts’ itself, but this time he gets it spot on, the throbbing, pulsating, electronic noises sound larger, tougher, and more aggressive. It’s an unexpected highlights on an album to get you enthusiastic about the man and his music once again.